In October 2008, my friend Will posted on his blog, A Journey Around My Skull, his discovery of a Japanese illustrator, Rokuro Taniuchi. 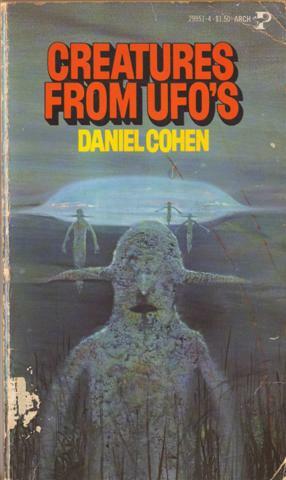 The image of a looming figure on the horizon by Taniuchi reminded me very much of the cover art for a book I read in 5th grade titled Creatures from UFO’s (1978) by Daniel Cohen. On my recent trip back to Cincinnati I fetched the paperback from my old bedroom bookshelf and scanned the cover. 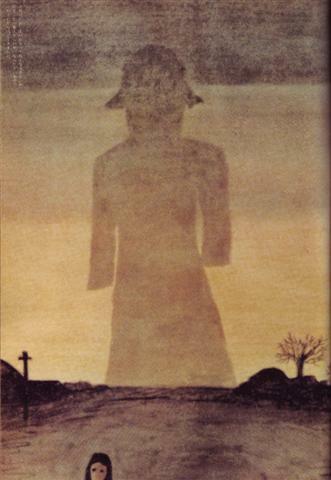 Unfortunately, Archway, the publisher, didn’t see fit to credit the cover art illustrator for this book in its young adult series of non-fiction publications. Please comment if you can identify the artist. A door suddenly appeared in the side of the craft. Three strange-looking creatures came out. They didn’t walk. They floated about three feet off the ground. The two men said the creatures were about five feet tall. They were covered with grayish, wrinkled skin. It was like “the skin of an elephant,” Hickson [one of the two witnesses] said. The creatures didn’t have real faces. Where the nose should have been there was a carrot-like growth. Two similar growths were where ears should have been. The mouth was just a hole. They didn’t have any eyes. And out of the midst thereof came the likeness of four living creatures. And this was their appearance: they had the likeness of a man. 6 And every one had four faces, and every one of them had four wings. 7 And their feet were straight feet; and the sole of their feet was like the sole of a calf’s foot; and they sparkled like the colour of burnished brass. In some way, I think this notion of a single premise provides an added ethical meaning to the mythic idea of an Even ha-Shettiyah, the Foundation Stone — that a geological foundation of the world is synonymous with or perhaps even signifies a basic code of ethical behavior. What then is the stone that was cast away that shall become the foundation stone? The considerate and sensitive treatment of each other that is lost and forgotten in times of war and selfish struggle. As a side note, those actually born with fused legs suffer from Sirenomelia, or Mermaid Syndrome, a rare congenital deformity manifesting in 1 out of 100,000 births. It is usually fatal within one or two days of birth due to related abnormal kidney and bladder development and function. LATE BREAKING UPDATE: Am I channeling some sort of zeitgeist? 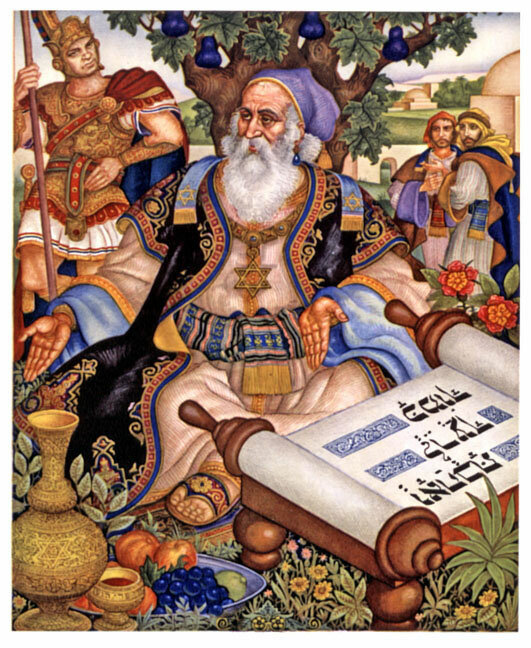 Less than a month after this post, this lovely new resource, On1Foot : Jewish Texts for Social Justice was established. 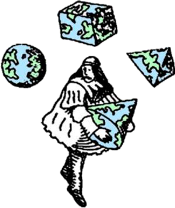 Check it out this amazing user-contributable archive of relevant source texts. “To Stand on One Foot” is shared by Aharon N. Varady with a Creative Commons Attribution-ShareAlike 4.0 International copyleft license.